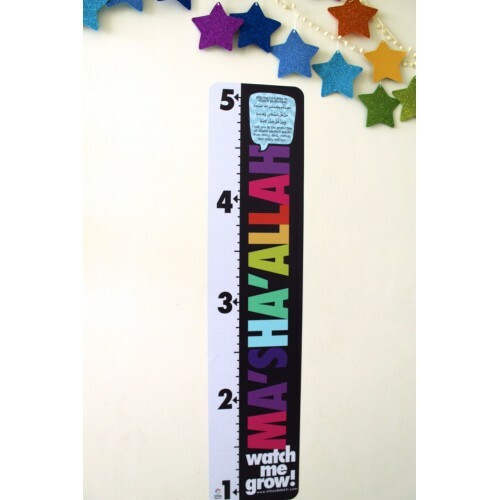 Our delightful adhesive growth cart is perfect to record your child’s height and instantly adds a pop of color to a plain looking wall in your child's room. Printed with the masnoon dua, which the Prophet ﷺ used to recite over his grandsons for protection, you'll end up memorizing this dua too! This vinyl sticker, easy to peel and repositionable will stick to any smooth surface.